Just when you thought that the Samsung Galaxy S10 leaks can’t get any more exciting, a new list shows up to prove otherwise. Apparently, a retail chain insider has revealed the specifications sheet of the Galaxy S10e, Galaxy S10, and the Galaxy S10 Plus. The supposed specifications of the trio are largely in line with previous reports, but there are surely some minor differences, as you’ll soon see. The leaked specifications sheet refers to the phones with their codenames and largely confirms the previous reports such as the 10MP selfie shooter with an aperture of F/1.9 that is capable of shooting 4K videos. The setup will feature dual-pixel autofocus but there is no mention of optical stabilization. Apart from that it also appears that the phone will be able to make 0.4s-0.8s of video, which is twice the duration their predecessors were capable of. 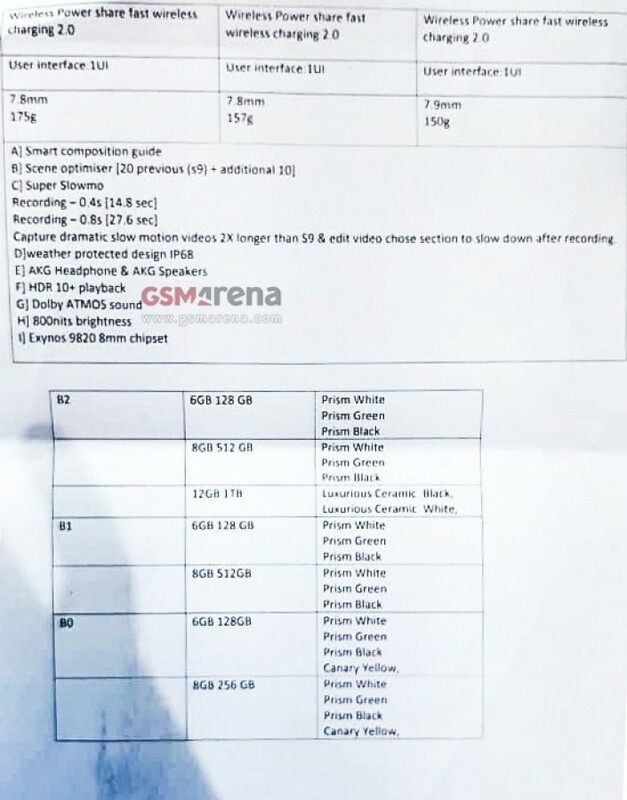 As for the contradictions, the sheets say that the Galaxy S10 Plus will sport a 6.3-inch display with a resolution of 3040 x 1440 pixels, whereas previously it was rumored that the display would be slightly larger at 6.44 inches when measured diagonally. Moreover, it also seems that the display of the trio will offer a screen brightness of 800 nits. 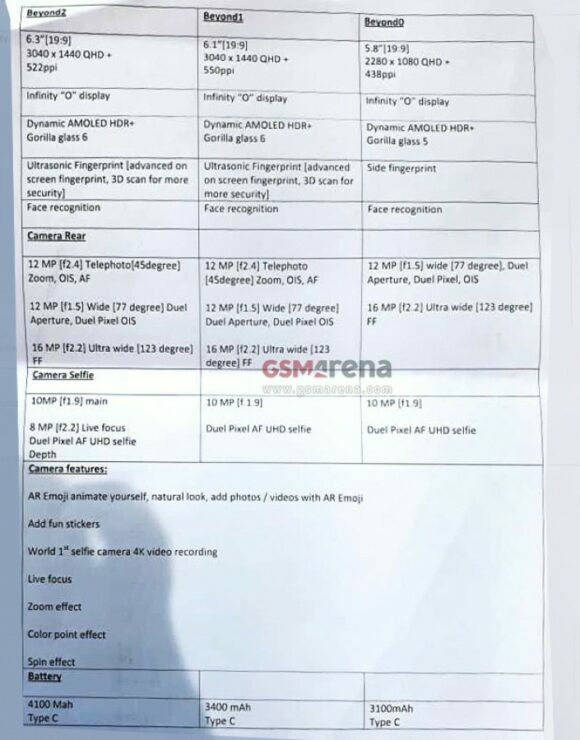 Although various reports in the past had alleged that the most affordable of the bunch, the Galaxy 10e will have the same regular and telephoto camera configuration as the Galaxy S9+ Plus, the leaked sheet says that the phone will have a regular snapper and an ultra-wide camera. Apart from that, the sheet also mentions new scene optimizer settings and some new camera effects. 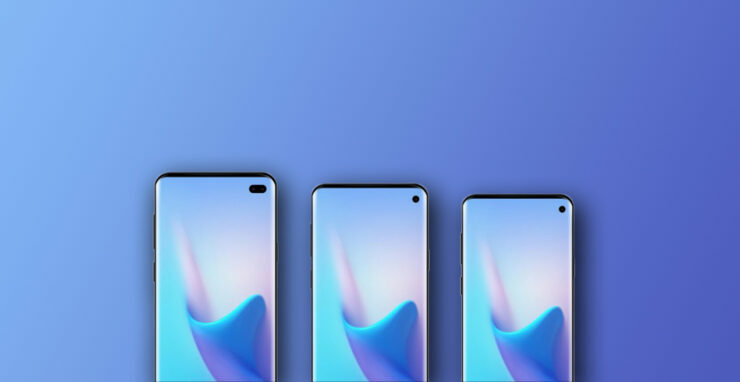 Samsung is gearing up to announce its Galaxy 10 series phone on February 20 at its Unpacked event and given that the phone has leaked so heavily, it remains to be seen if there is something that Samsung is still guarding. After browsing through the hardware specifications of these three models, which one of these are you most likely to pick up? Tell us down in the poll. Which Galaxy S10 model are you most likely to pick up when Samsung announces pre-orders?